On the Map: Valley of the Hare is situated on the South West coast of Ireland, on the Iveragh Peninsula (and the famous Ring of Kerry) in County Kerry, The cottage is three miles from Sneem, the beautiful and award winning village situated between Kenmare and Waterville. 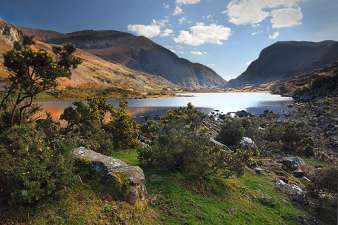 By Car: Valley of the Hare can be reached by road from Killarney by taking the N71 and R568 (suggested route from Galway of Limerick), or from Kenmare by taking the N70 (suggested route from Cork). By Train: Iamrod Eireann (www.irishrail.ie) operates a national train service to Killarney, while Bus Eireann (www.buseireann.ie) operates a bus service from the major cities to Kenmare and Killarney. 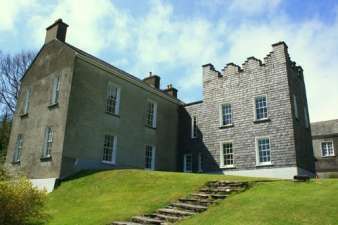 By Air: The closest airport is Kerry Airport (www.kerryairport.ie) at Farranfore (64km). Nearby international airports are Cork (120km) and Shannon (180km). Aer Arann and Ryanair operate flights into Kerry Airport from a number of destinations in Ireland, the UK and Europe, while many international carriers fly to both Shannon and Cork. Care hire is available at all these airports. 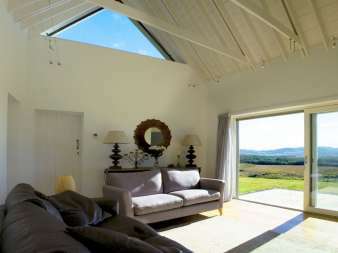 © Kerry-Cottages.com. All content is protected by the author. Designed by SLJ Media.